Why is this a big deal? Well, as you may have already learned from previous blog posts, regular exposure to fresh blooms provide a wide array of benefits both in physical and mental terms. This means that choosing to elect a regular, standing order from a local florist will likely heighten the moods and progress of employees thus increasing the company’s overall productivity. If you look at things this way-it seems like a no brainer, right? If you find yourself in this predicament, I have a few tips to turn the tables on the importance of office floral design so that you can do some serious convincing to whoever is in charge. Study these top reasons why flowers can be of value in the office and give him/her a presentation of the facts. When you are finished, slip a reputable florist’s business card under their door and hope for the best. If the outcome proves dim, revisit the idea in another few months. 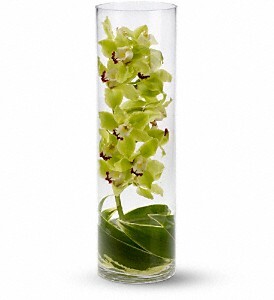 Flowers heighten positive moods by using their different scents and colors. Flowers generally increase the brain’s ability to problem solve. Flowers can propel new levels of creativity just by being within the same vicinity. Flowers are capable of lowering anxiety and in turn, foster feelings of relaxation. Flowers are a great source of conversation, which can spawn a greater communication flow between coworkers. Flowers tell employees that you care about them and want them to be happy. Flowers make a space more appealing, providing a nicer environment to work in.